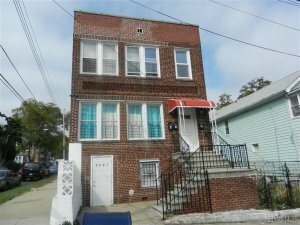 Do you need to sell assets owned in The Bronx NY or the nearby areas? In our latest post, we will discuss how to benefit from a property wholesaler when liquidating your portfolio in The Bronx NY. A property wholesaler in The Bronx will likely have a vast network of buyers they regularly work with. They will be able to get your property in front of the right people at the right time. Many buyers and investors will be able to learn about your home, often times many people whom you wouldn’t have found on your own. In many cases, there will be competitive bids from multiple investors. A great wholesaler will be able to generate buzz, collecting the highest price possible for your Bronx house. When you work with a wholesaler, they are making their fee when the house sells. You don’t have to worry about paying any commissions or marketing fees to an agent. You simply sell your house for a set price and walk away with a check. You don’t have to bother making repairs or upgrades to the house either, most often, properties are sold as-is. Listing a Bronx house comes with many expenses. By working with a wholesaler, you can avoid the costs altogether and sell your property easily. In addition to wholesaling, House Buyers NYC offers a wide range of services to investors who need to sell properties in The Bronx NY area. When it is time to sell, we can help you run the numbers so you can make the selling decision that is right for you.